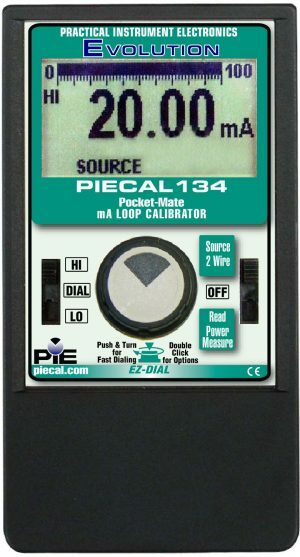 PIE has milliamp calibrators to fit your needs from the Pocket-Mate 134 with the basic functions of a 4-20 milliamp calibrator to the advanced loop troubleshooting capabilities of the Model 532. 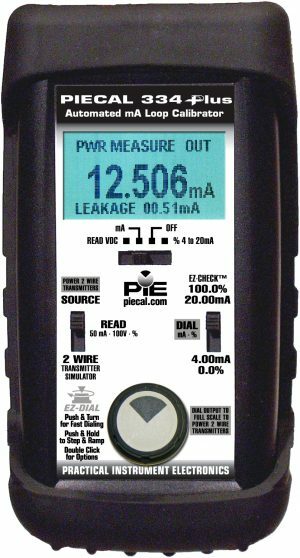 And PIE milliamp calibrators are the only models with patented Loop Diagnostic Technology! 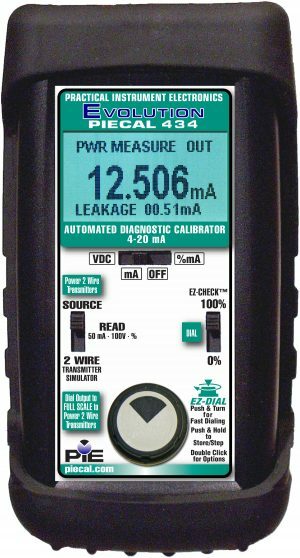 All the loop calibrators have fuse-less protection, rugged design, long battery life. 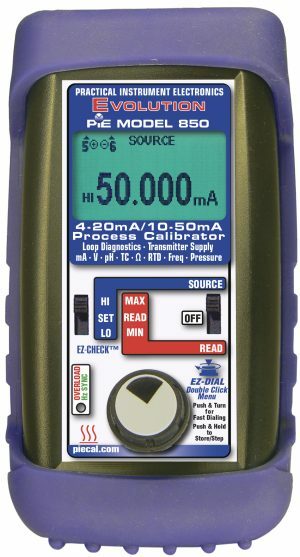 Calibrate in the units matching your instruments by displaying in milliamps and percent (%) of 4 to 20 milliamps. Source 4 to 20 milliamps or 10 to 50 milliamps into loop instruments and drive final control elements such as valves and actuators. Read the milliamp signal output from a controller, simulate a two wire transmitter and power and measure transmitters to check every device in the loop. 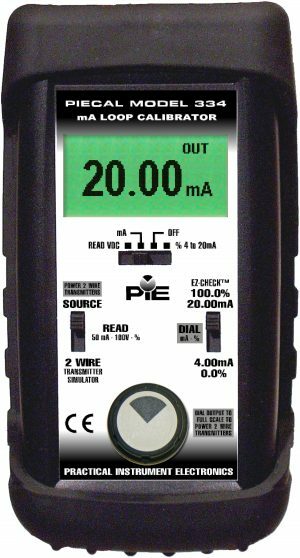 Calibrate smart transmitters with the built-in 250 Ohm resistor for HART® compatibility, high resolution to 0.001 milliamp and the the ability to check loop power supplies or batteries with built-in DC Voltage measurement range. Save time troubleshooting loops by using the Advanced Loop Diagnostics to find hidden loop problems caused by moisture and corrosion in junction boxes. This feature is only found in PIE Calibrators! Need to replace an Altek Milliamp Calibrator?